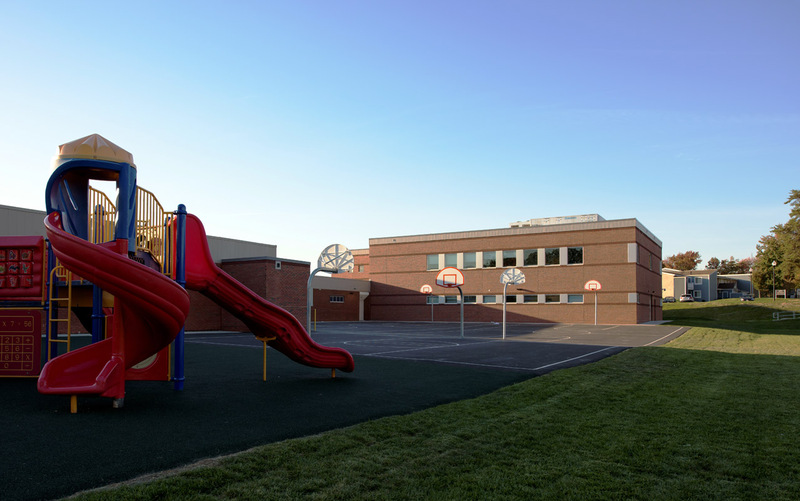 Colimore Architects conducted a feasibility study for renovations to accommodate an expected increase of 100 students for grades Pre-K to 8th grade at Laurel woods Elementary School. 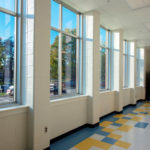 The firm was subsequently awarded the design project of the two-story, 10 classroom addition and 1,500 SF cafetorium addition. 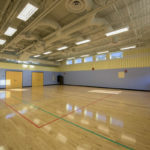 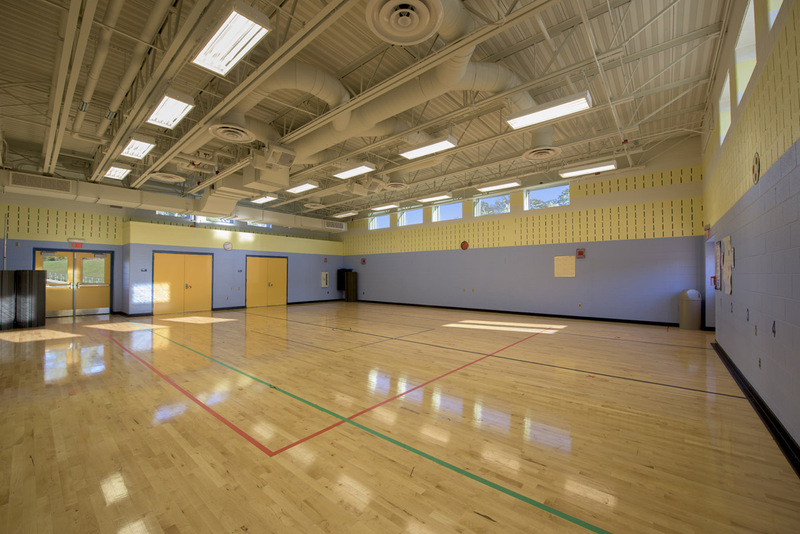 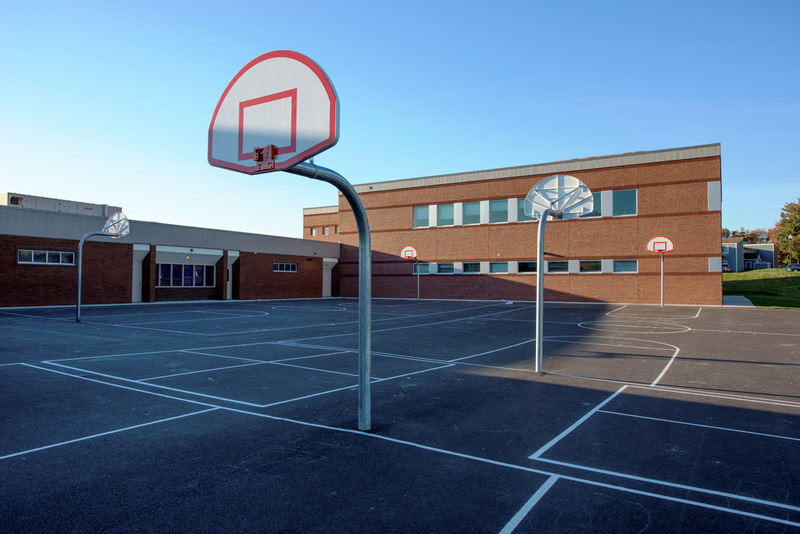 An add-alternate was provided for a 2,000 SF physical education activity room adjoining the existing gymnasium. 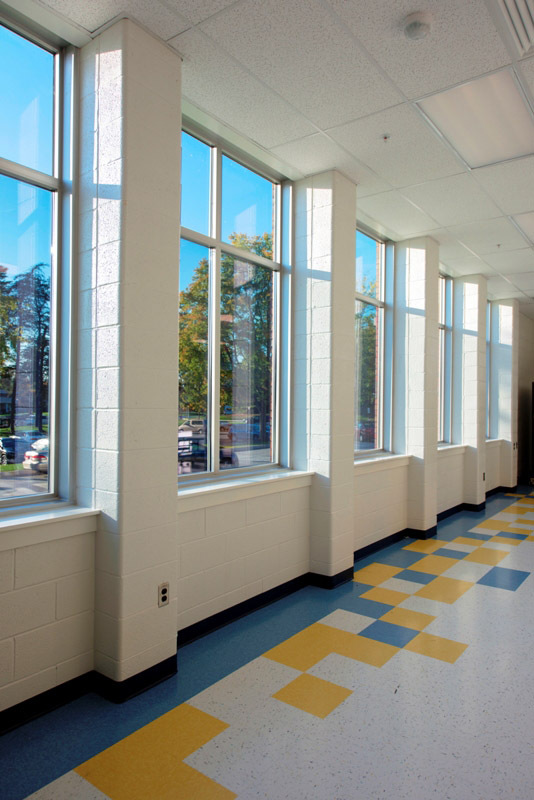 Other improvements included the addition of an entry vestibule with controlled and monitored access. 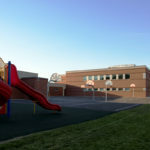 During the design process, the scope of work increased to include the conversion of an existing art room to a new Pre-K classroom, modifications to the existing cafetorium serving area and significant upgrades to the mechanical and electrical systems including the fire alarm system and an emergency operation to comply with a State issued mandate. 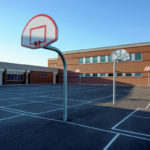 The design required substantial site work to provide level ground for new construction, a grass paved emergency access drive and the reconfiguration of the outdoor play areas.